Tuscany is a region rich in natural and artistic treasures, where colours and perfumes get intertwined with emotions. Arrival at Pisa airport or Livorno harbour where you will meet with an English speaking driver and departure for a typical Tuscany Relais. Dinner and overnight. 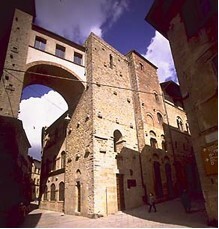 After breakfast, departure to the “magic and mysterious” city of Volterra has its roots in three thousand years of history. Volterra, a haven of Etruscan, Roman, Medieval and Rennaissance art, dominates the Cecina Valley, 550 metres above sea level, affording a spectacular view as far as the sea. It is possible to find evidence and traces from every historical period which gives the artistic unique aspect.It’s very exciting to discover this ancient city by “trekking urbano”: si tratta di un percorso podistico lungo le vie della città caratterizzato da forti dislivelli, il quale non richiede un particolare allenamento e offre un modo nuovo e stimolante per conoscere le straordinarie bellezze di una città dall’aria pulita. A spasso per i vicoli nascosti e su stradine che si aprono inaspettatamente su punti panoramici di straordinaria bellezza scopriremo la storia e l’arte di questa meravigliosa cittadina medievale in stretto contatto con la vita quotidiana e con le tradizioni dell’artigianato locale. Pranzo libero e nel pomeriggio visita di una cava di alabastro per vedere come viene estratta la pietra e la prima lavorazione (la pulitura). Back to the Relais, dinner and overnight. After breakfast, departure always with the English speaking driver to a full day visit of Collodi, the country of the fables and Lucca. 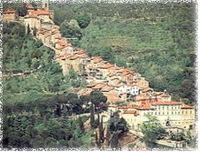 First stop in Collodi to visit this small medieval village, then proceed to Lucca. Once there, you will discover the city by bicycles with lunch in a typical Tuscany restaurant, located in the heart of the city. After visit, back To the Relais, dinner and overnight. After breakfast, departure to a full day visit of Val di Cecina. The ephemeral colours of this land of contrasts transform with the changing of the seasons. Gently rolling clay hills, avenues lined with cypress trees, olive groves and vines of true Tuscan flavour are abruptly defined by barren, deep clay walled chasms, gullies and ravines. Then of course there is the anomalous landscape of the Geothermal area with its steaming jets and fumaroles, the mountainous region of high ridges and deep valleys nourished by the clear waters of the streams and brooks of the River Cecina. One of the most interesting regions of Tuscany its charm certainly lies in its natural beauty and variable features. Lunch in a Farm house located in Montecatini Val di Cecina and 1 hour excursion with the farm house horses along the several paths which cross the whole area. In the afternoon, back to the Relais, dinner and overnight. After breakfast, departure always with the English speaking driver to Pisa airport or Livorno harbour…End of our services.